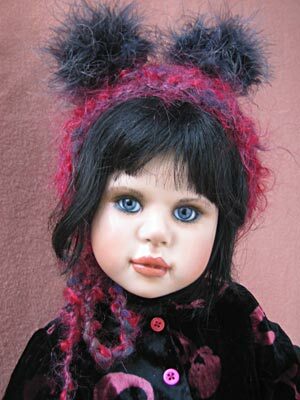 This stunning little girl wears a silk velvet coat with a hand knit border, over a woolen kilt and a matching hat. Her bear has black tipped mohair fur to blend with her exotic coloring. 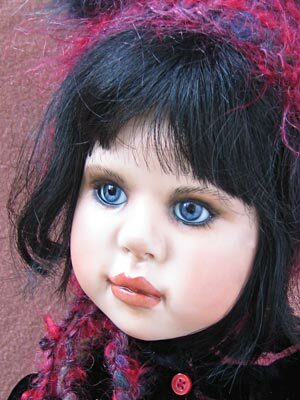 Web site information is not guaranteed to be accurate and may contain errors differing from the actual dolls.